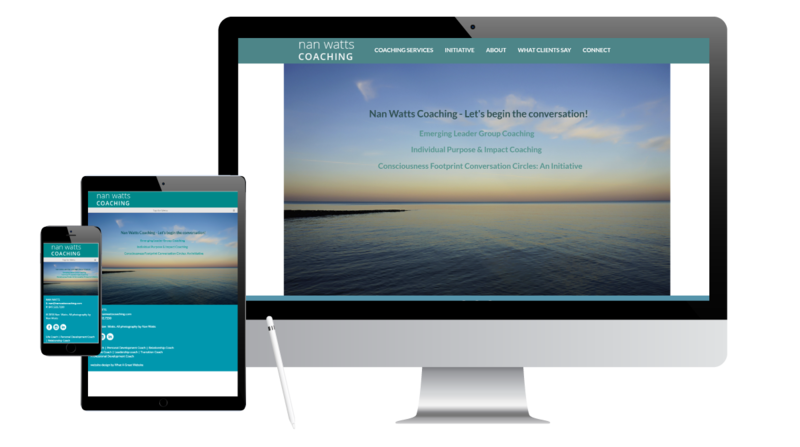 Nan Watts Coaching - What A Great Website! The coaching field is crowded. And highly competitive. Nan charged us with building a website that would help her stand out in this crowded field and gain new clients. The soothing images on her site are hers (she’s a talented professional photographer). The ones we selected say peace and tranquility and work seamlessly with the relaxing nature-inspired color palette. Nan wrote her own copy and we love how her personality clearly shines through.